Hi all!! Welcome to Mrs. Lincoln's Inkin'. 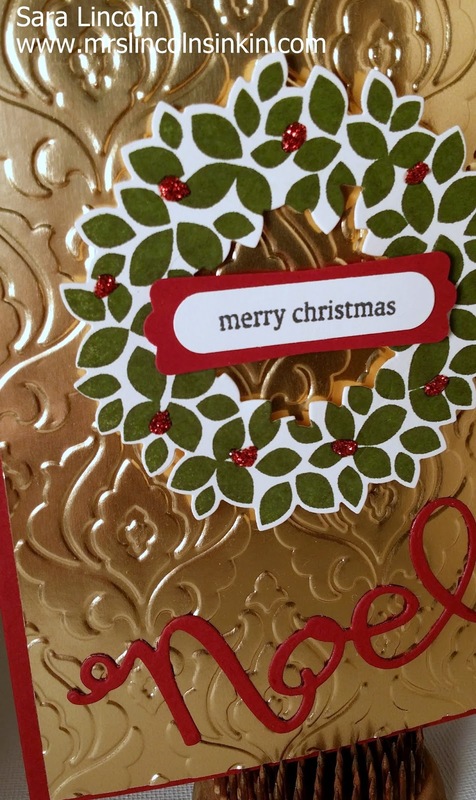 Today's share is a Christmas card that uses the Gold Foil sheets. 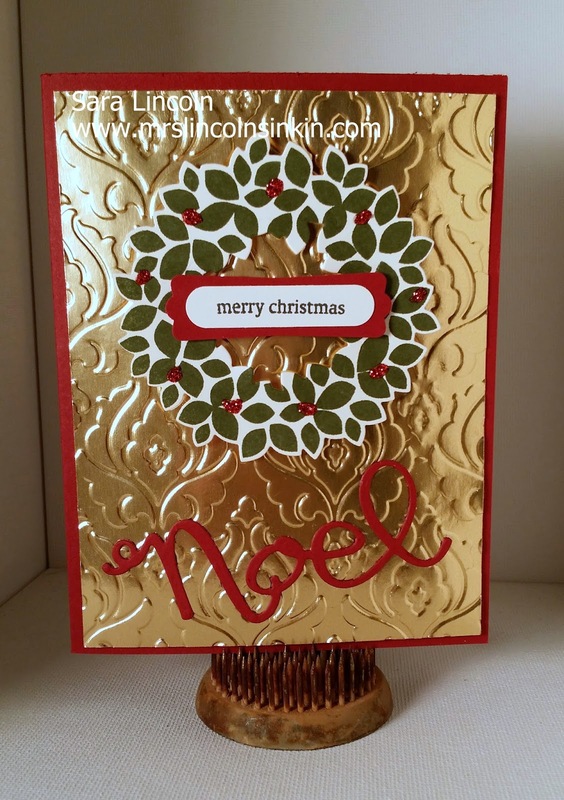 I love the foil sheets! They come in Gold and in Silver! The set that i am showcasing to is the Wondrous Wreath set.